Red Dwarf: The Bodysnatcher Collection. This is the title of the brand new DVD boxset coming soon from Grant Naylor Productions and 2 entertain. Try it on for size, see how it suits ya. It has long been felt that 'Red Dwarf Remastered' undersold the scale of what we've been trying to do. This isn't just about giving in to the demand for the remastered shows to be released on DVD. 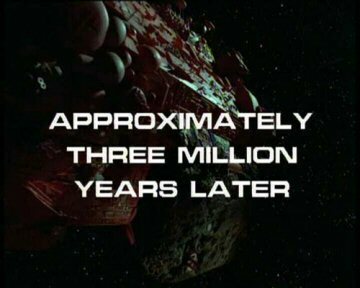 It's about a whole new Red Dwarf release. Top of the tree, of course, is the bonus feature that gives the collection its name - Bodysnatcher - the lost Series I episode written by Rob Grant and Doug Naylor	and performed by Chris Barrie. Frankly the biggest discovery since some bloke dug up some bones that looked "kinda like a dragon". On top of which, we also have four rare script extracts. 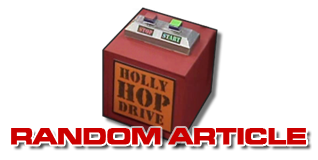 Also written by Rob and Doug, they reveal some of the directions Series III might have gone - including the oft-mentioned Dad episode. Then there are the documentaries. We've filmed interviews, more interviews and even more interviews	with the key players so we can bring you three documentaries on the making of Series I, Series II and the Remastered editions. Packed with insights and revelations, the docs include rare, unseen footage, deleted moments, rushes, outtakes, and contributions from several rarely-seen players - including co-creator Rob Grant, producer Paul Jackson, production designer Paul Montague, skutter-maker Andy Bowman and crew members Mike Agnew and Dona DiStefano. In addition, there's The End: The Original Assembly. As previously reported, this will show a first cut of the episode that subsequently had two-thirds of its content re-filmed! It's terrifying to see the audience reaction to a script three years in the making - but it makes the need for change all too clear. But hey, don't go thinking this is the end of the list. Oh no. There's a long way to the official release date - now confirmed as October 22nd, 2007 in the UK (no word yet on international releases) - and we still have a few small details, plus a few huge ones, still to announce. 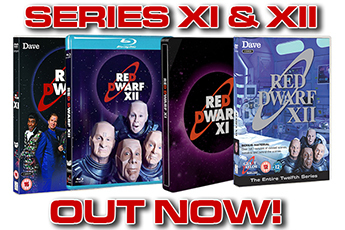 To keep up with the news, don't forget to return to reddwarf.co.uk every week! 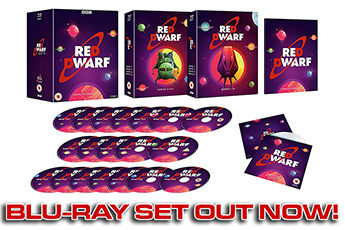 The brand new Red Dwarf DVD box set will be out in the UK on October 22nd.